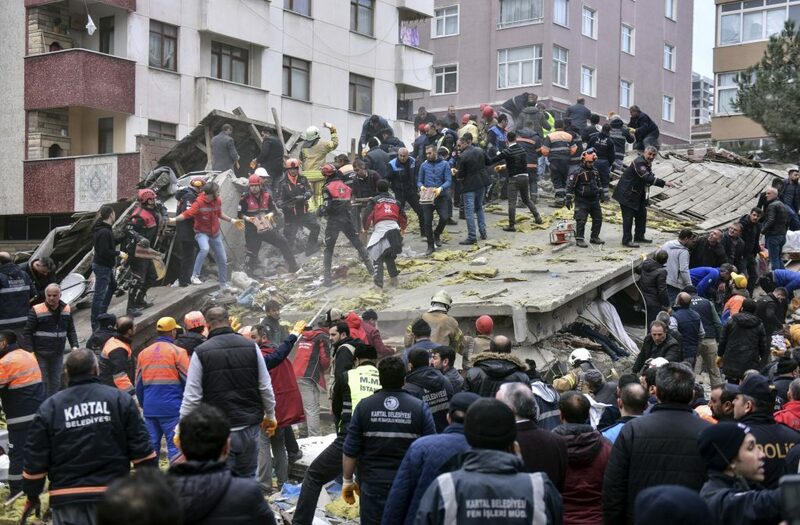 An eight-story building collapsed in Istanbul on Wednesday, killing at least two people, Turkish officials said. Rescue workers pulled six others out of the rubble and were working to free more who were trapped. Turkey’s broadcasting watchdog later announced that the prosecutor’s office had ordered a media blackout, citing the investigation into the collapse. Turkish television stations then immediately ended their live broadcasts from the scene.